SUMMERFEST… GOOD OLD FASHIONED CARNIVAL FUN FOR RANCHO MURIETANS OF ALL AGES! Since 1999, Rancho Murietans have gathered at Stonehouse Park for the annual Summerfest Carnival—a town fair tradition complete with rides, games, cotton candy, and corn dogs! Each August Murietans and their friends and neighbors look forward to seeing the sky light up with the spinning ferris wheel and zany Zipper ride. BEER/WINE GARDEN. LIVE MUSIC NIGHTLY. WINE and FOOD GALA. BEER/WINE GARDEN: Friday and Saturday night often finds the 21-40 and over crowd hanging at the Summerfest Beer and Wine Garden and dancing and singing to a featured live band. WINE AND FOOD GALA: Each year Summerfest kicks off with an event for sponsors only…an Annual Wine and Food Gala held on Thursday night preceding the carnival. Sponsorships start as low as $600.00. Sponsors and their guests enjoy fine wine and food, live music and dancing, and even a few rides reserved exclusively for them. Become a Sponsor Today! 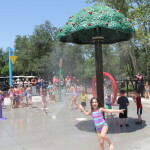 SUMMERFEST was formed in the late 90’s by a group of local Rancho Murieta residents who acknowledged the absence of recreational facilities and family activities for an active, young, and young at heart community. With an entrepreneurial spirit, the group created Summerfest. Each Summerfest generates revenue to provide educational and recreational projects for the youth and families of the community. (including donated services) and has provided educational and recreational events to many branches of our community. 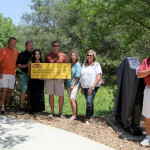 We have provided funding to Cosumnes River Elementary School, Girl and Boy Scouts, and Cosumnes River Little League. We founded and organized Cosumnes River Softball League, Junior Golf Association of Northern California, just to name a few of our many worthwhile endeavors. We are especially proud of improving our park facilities by helping build an additional softball diamond, adding the original lighting to the Little League field, and providing a shade cover at Riverview Park. 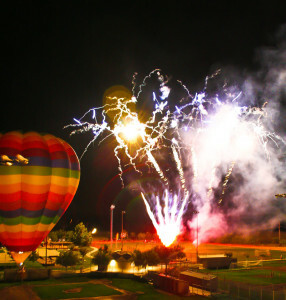 In 2010 Summerfest provided $50,000 to the Stonehouse Park for additional lighting of the soccer fields and softball fields. In 2013-14, Summerfest donated $70,000 to help build a SPLASHPARK for kids at Riverview Park. We recognize that none of these above mentioned donations would be possible without the generous support from our annual sponsors, and our participating community. The Summerfest Committee always welcomes suggestions from any Rancho Murietans with ideas to enhance our wonderful community. If you would like to become a volunteer, sponsor, or make a suggestion, please contact any of the Summerfest Committee members: Mike Martel, Sherry Carrillo, Ellen Moe, Rod Metzler, Sid Williams, and Lori Ogden.